Aj says that Aneal and Gary are not close at all because they saved him last week. Tom thinks That Aneal will put up Garry. Aj thinks it will be Gary and Jillian because Jillian put Aneal up. Tom reassures him that he’;s safe this week. He tells Aj all he is this week is a “Seat Filler.. 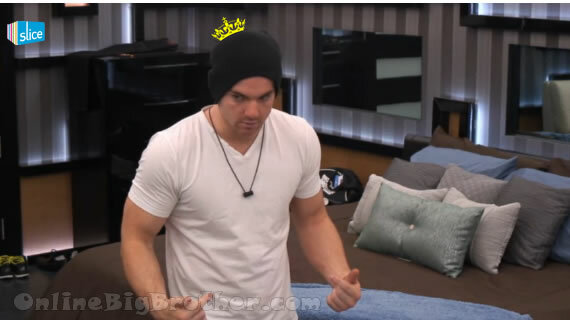 I just made that word up you are a seat filler” Aj: “The biggest thing I’m worried about this week is what to wear on eviction night, “I’m the pawn of pawns”. Tom: “No you are a seat filler” Tom thinks AJ, Anderw and himself should talk game more often but they have to be careful because of Liza, “Andrew is vibeing Liza” Aj points out that Liza is vibeing everyone in the house. AJ thinks that Liza is playing too hard she’s trying to make everyone think she cannot win Competitions when they all know that isn’t true. AJ mentions that Suzette had a chance in the game but it all flew out of the window when she had the blow up in the Storage Room. Aj likes Suzette as a person, as a mother and person she is great but as a Big Brother Game player she is the worst player he has ever seen. Tom: “Liza has everyone in this house figured out” she has everything but brawn and that is why she’s attached to me. Tom understands that Liza is sleeping with him at night to keep him close, he sees it and isn’t worried. Aj says if Talla goes up on the block even as a pawn she will freak out and get herself evicted. 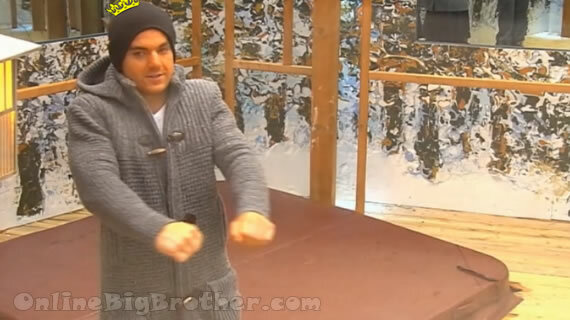 Tom asks him who he would put up if hew won HOH. Tom goes on and on about Andrew wanting to win the HOH really bad, Aj had confirmed it with him earlier, “All i know Andrew is GUNNING for this HOH and he’s going to put you up.. i’m not trying to scare you Gary”. Tom adds that Andrew might try to backdoor him because tom’s his biggest personal threat in the game and he’s the guy sleeping with the women he loves. Tom explains that it was Liza that explained what Andrew was doing and he believes her because she’s a smart girl, “she needs me as much as I need her.. I need her mental power because I cannot reach where she can reach”. Jillian telling him about her conversation with Liza. Liza told her that the house thinks Emmett is controlling Jillian and Liza is controlling Tom. Liza also added that she’s heard Jillian’s name being thrown out here as a possible target. Emmett tells her that it’s Liza that is spreading Jillian’s name out there. 2:00pm BAckyard Alec is telling Peter that sh1ts gotta stop with Liza none of them trust her. Alec doesn’t want to bring Emmett into Final 4. Peter Agree about LIza and Tom but disagrees about Aneal he thinks if teh circumstances are correct Aneal will make a power move. I wish Emmett and Alec could make the connection that Peter wants Liza around for a reason… Haven’t they seen the two of them talk before? 100% agree with you Violet! Going to Peter and trash talking Liza saying you need to boot her is like trash talking Jillian to Emmett. He’s not going to listen and will defend her all the way. Peter is thinking with the wrong head this time. Alec and Emmett should definitely understand this based on what they have seen with their own eyes. I would like to see Emmett and Alec team up. They have Jillian and Topaz and Topaz has Gary. I think Andrew would go over to them as well so they could essentially control the house because the only other person left on the other side that could win comps is Tom and he can’t win them all. Can you imagine the s#$t storm that will hit that house if Tom gets put on the block?? And even better if it was a backdoor and he was up there with Liza?! That would be the biggest play of the season I think! I have a feeling this entire house is going to explode soon with Tom being in the centre of it.. Liza and him are doing too much talking. Peter can only protect Liza for so long. Good call. I think Peter is actually tipping his hand a little too much, but that’s what’s so great about not having vets. There are no ringers; no Dan or Will who can play a perfect game. She really has him brainwashed Liza isn’t playing a very good mental or social game if everyone knows you are doing it and since tom is in an allience with peter and alec why is he throwing his name. Tom diserves to be backdoor he is almost asking for it lol. Liza isn’t as smart as she thinks last night she said that emmit and jillian were sleeping through the game when in reality they are both playing it just they are both smart enough to play it under the raidar. Of course gary is going to tell topez and she will tell alec who will telll emmit and peter and emmit doesn’t need anymore convincing that he wants liza gone with good reason she is playing way to hard to early and she will get burned. Simon/Dawg can either of you clear something up for me please? Did I miss something about the POV and a surprise happening? I have read back in a few posts and comments and seen some commenting on a surprise that will be happening. Apparently Canada gets to be involved in the POV.. not sure when though. 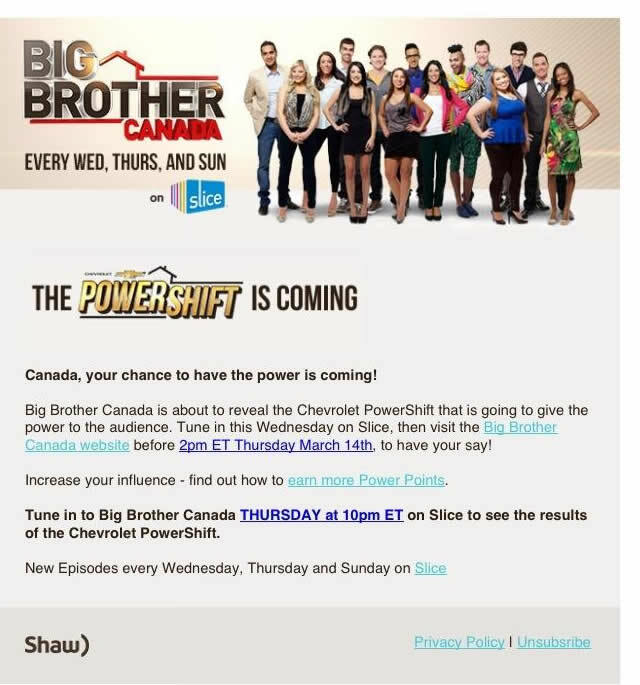 As per an email from slice.ca, the Chevrolet PowerShift will be announced during Wednesday’s episode. Voting will be on the bigbrothercanada.ca website ending at 2pm ET on Thursday. Ohh sweet thanks.. so it’s this week we’re the audience gets to manipulate the game. Kinda a waste given who is on the block.. still it might mean AJ will given the boot just drive Tom crazy.. Wish Canada saves Suzette with the POV. It will be so interesting to watch Tom get mad. 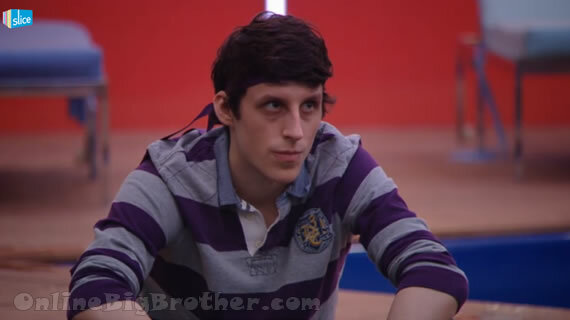 Big Brother Canada: Liza says what if I put up Emmett and Topaz? I want to see Alec lose his mind!